Chef-crafted, gourmet burgers include the freshest and most high-quality local ingredients available. Our burgers are made with premium 80/20 ground beef, and we also specialize in flat-breads, soups, and salads. In warmer months, we source our produce from the rural Virginia Beach community of Pungo, and expand our menu to offer regional shellfish and seafood by season. 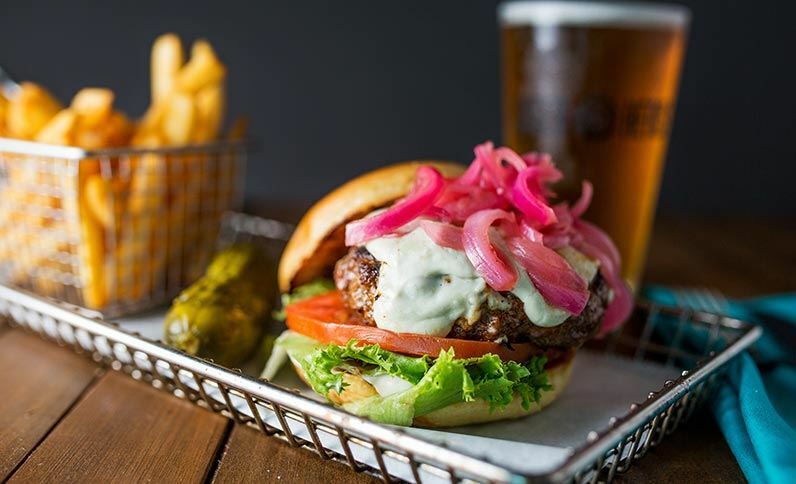 We also feature an "Always in Seasoned" burger of the month with a rotating theme of local culture, holidays and the changing of the seasons. Check out the Burger of the Month for this month over on our Specials page!